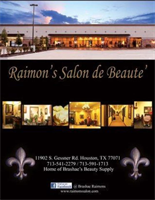 Services Brashae's Beauty Supply is a salon in Houston, TX 77071. Salons like Brashae's Beauty Supply offer services that often include haircuts, nails services, waxing, manicures and pedicures. Awesome Customer Service, great inventory and knowledgeable of the products. I feel like they go out of their way to accommodate my schedule. I always get the appointment time I want. It was very easy to get an appointment. They have a very flexible schedule and get me in quickly every time. They really go above and beyond to make me feel special. I've never been anywhere that seems to care more about their clients than here. I was so impressed by how caring and attentive they were. They were happy to help me right away with whatever I needed. One of the first things I noticed about this business was the level of detail and attention to make the building handicap-accessible. Even the bathrooms were designed to be accessible with doors wide enough to accommodate wheelchairs and grab bars in the stalls. You could tell they really made an effort to accommodate people with all different needs.